In honor of awards season, which is in full swing in Hollywood, Disney Parks Moms Panel is handing out its own prestigious awards. We enlisted the help of over 130 of our alumni and current panelists to select their favorites in a variety of categories. The votes are in and over the next four weeks, we will reveal their picks for favorites at Walt Disney World Resort, Disneyland Resort, and Disney Cruise Line. Walt Disney World Resort offers something for everyone, and everyone has their favorite things to do taste and see while visiting. 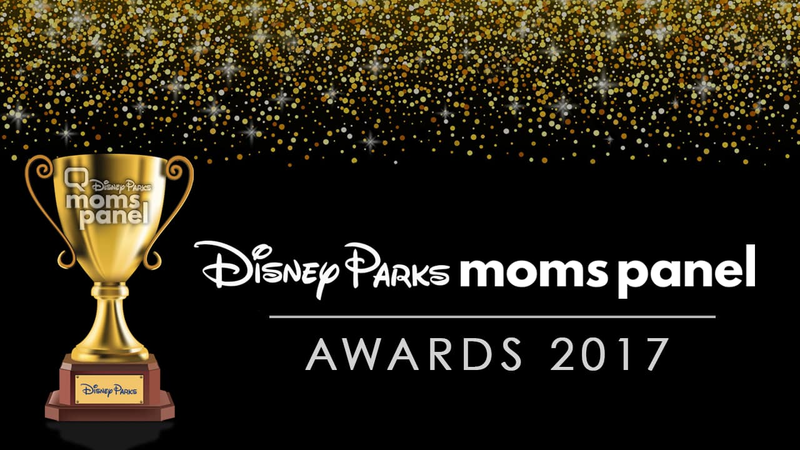 The moms, dads and grandparents of the Disney Parks Moms Panel share a few of their favorites in this week’s Disney Parks Moms Panel Awards. Epcot Character Spot rose to the top for favorite character meet & greet location. Guests can meet Mickey & friends, Baymax from Big Hero 6, and Joy & Sadness from Disney∙Pixar’s “Inside Out.” Town Square Theater at Magic Kingdom Park, Princess Fairytale Hall at Magic Kingdom Park and Star Wars Launch Bay at Disney’s Hollywood Studios were also amongst the top five favorites. Jen R. recommends using the My Disney Experience app to find the best place to meet your favorite Disney friends. And the favorite is … Dole Whips. 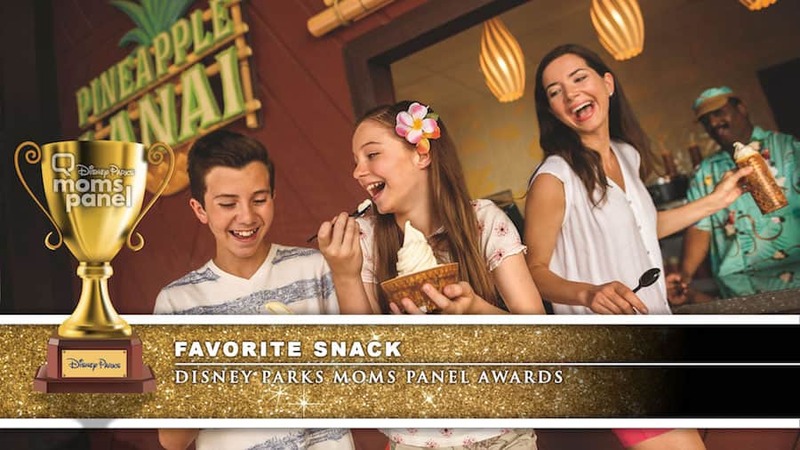 It was a tight contest between Dole Whips and Mickey Premium Bars, but in the end the tropical flavors of the Dole Whip were the favorite of the Disney Parks Moms Panelists. The classic churro, cronuts at Epcot and the fresh fruit waffle sandwich at Sleepy Hollow in Magic Kingdom Park were also among the panelists’ favorite treats. 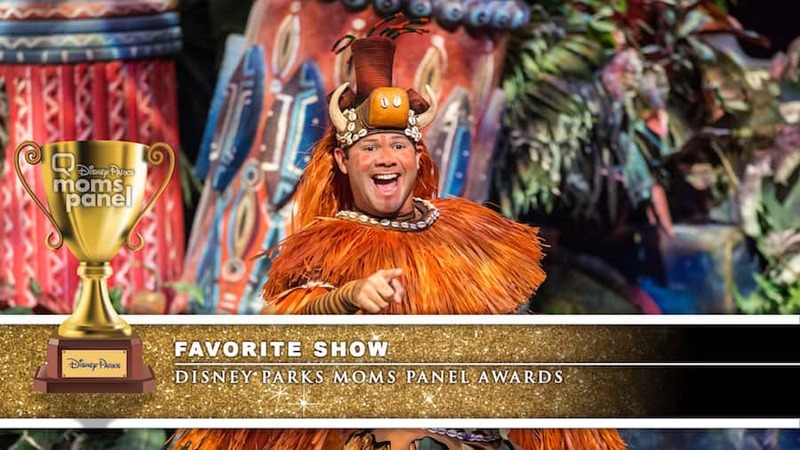 With so many musical spectaculars to choose from, picking a favorite was tough, but Festival of the Lion King was chosen as the panel’s favorite show at Walt Disney World Resort. Disney’s Animal Kingdom’s Finding Nemo – The Musical and Flights of Wonder also received honorable mentions. Disney’s Animal Kingdom now comes alive at night with Tree of Life Awakenings, Discovery Island Carnivale, and night time safaris, a favorite of Donyell R. and her family. 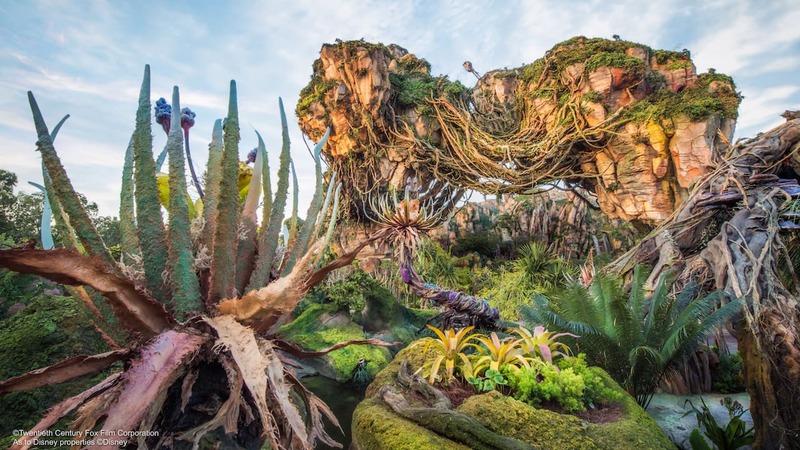 More excitement is coming soon to Disney’s Animal Kingdom with the opening of Pandora-The World of Avatar this summer. Hands down, shopping was the favorite thing to do at Disney Springs. Other favorite activities include dining at one of the many restaurants, catching a movie at AMC Theaters, bowling at Splitsville Luxury Lanes, or experiencing La Nouba by Cirque du Soleil. 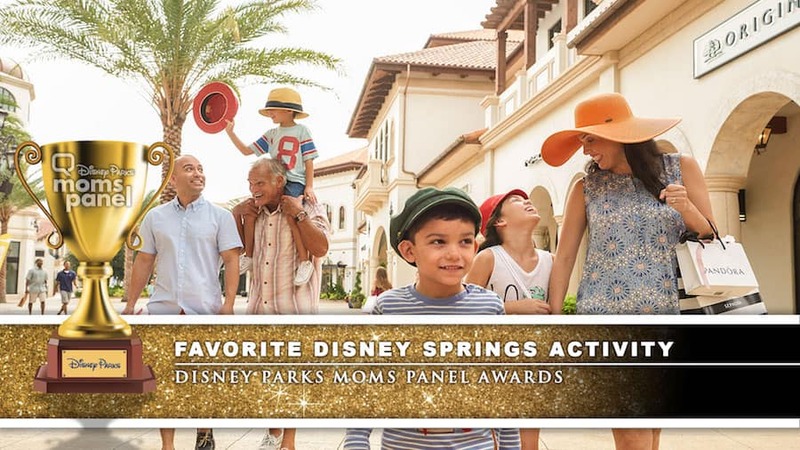 The Disney Parks Moms Panelists recommend spending a day at Disney Springs while visiting Walt Disney World Resort to experience all this newly enhanced shopping, dining and entertainment district has to offer. 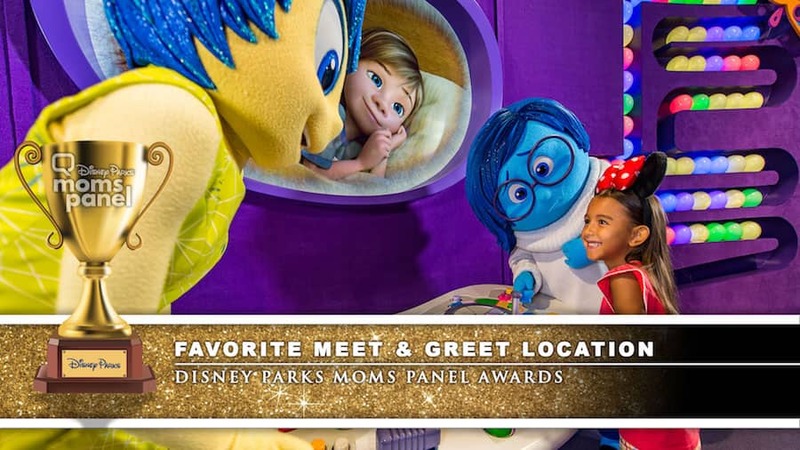 The Disney Parks Moms Panel Awards continue next week with more Walt Disney World Resort favorites. In the meantime, let us know your favorites from this week’s categories in the comments below. You can also visit DisneyParksMomsPanel.com for more tips or to ask questions about planning your upcoming Disney Vacation. For more awards season excitement be sure to tune into The Oscars® Live Oscar Sunday, February 26 7e|4p on ABC. Our favorite meet and greet is anywhere there’s a princess! Meeting the princesses sends my little one into the stratosphere of happiness! As for favorite snack? Easily sharing a Mickey Kitchen Sink Sundae with the kids at the Plaza Ice Cream Parlor. For best show we are going to have to agree with theverything mom’s! Festival of the Lion King had the whole family smiling and singing along! To say we love all the different dining options available at Walt Disney World would be an understatement. So it’s no surprise that my favorite Disney Springs activity is eating! (this is dependent on who’s playing at the House of Blues!) The kids love TREX and mom and I have a special place in our hearts for what is now the newly opened Paddlefish as we had our final honeymoon meal there! What a great idea to share the favorites! Moms Panel Monday: Planning Just Got Easier!